These pre-built coils make rebuilding easier than ever! Home / Blog / These pre-built coils make rebuilding easier than ever! Want the flavor and clouds of an RDA without the hassle? Vape Escapes now carries pre-built Alien and Alien Clapton coils that make building simple and hassle free. 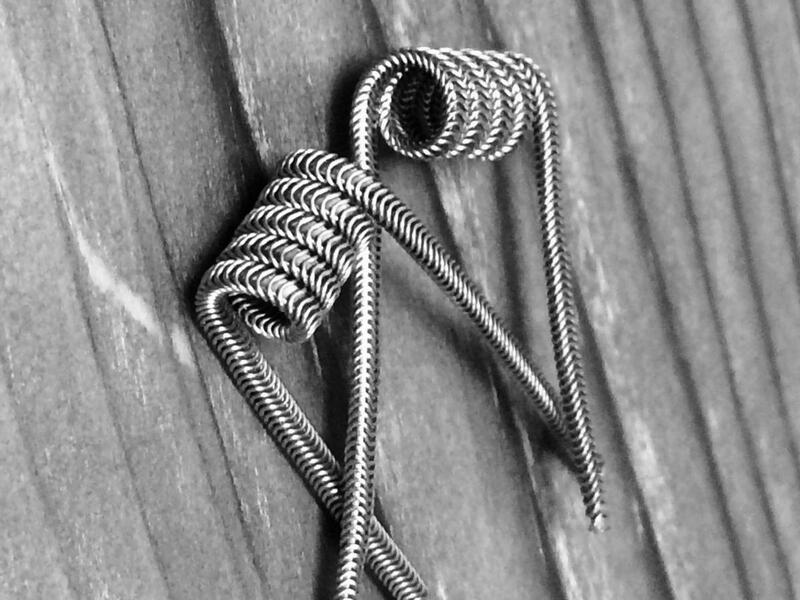 These beautifully made coils give you full, thick clouds and incredible flavor. Come by either VE location and pick a few up today! Arctic Ice- CHILL OUT! It doesn’t get any cooler than our cool, minty, mentholated tobacco blend. Enjoy a refreshing blast of cool spearmint every time with Arctic Ice. Cantaberry Crush- A perfect blend of cantaloupe and strawberry with a hint of cool menthol. Our Cantaberry Crush e liquid is a very tasty, light flavor that you can vape all day. Fire and Ice- A sweet yet explosive taste of hot cinnamon with each inhale followed by a cool fresh finish. Spice up your day with this bold flavor that is not to be taken lightly. Frozen Lime Drop- This flavor is a combination of the sweet and sour taste of a Lime Drop, with the perfect amount of cool menthol. Menthol Chill- This e- juice offers a fresh menthol flavor with a touch of sweetness—no tobacco undertones. It’s an invigorating flavor, from ground menthol crystals, that will satisfy anyone looking for a full flavor menthol taste. Rip Tide- A blend of fruit flavors including Blue Raspberry and Strawberry with a hint of cool menthol. This flavor is a tidal wave of flavors that will put your senses on a beach vacation. Snowman’s Kiss- Cool Peppermint blended with Frosty Menthol. This eJuice is cooler than the Fonz. Surf Rider- The Hawaiians refer to Surf Rider e-liquid as “dew from the heavens.” A refreshing Coconut Water with a splash of Blue Raspberry and cool Menthol. Western Menthol Blend- Full-bodied tobacco and revitalizing menthol compete for your attention in this popular e-juice… a menthol lover’s answer to a satisfying vaping experience. This e-juice packs a punch, just like the traditional menthol tobacco cigarettes that inspired them! It’s time that vaper’s voices are heard! Do you vape? Do you vote? If so, please take a second to join CASAA and tell them your story about how vaping has changed your life..
Help us protect YOUR right to vape! Are you looking for a discreet, on the go tank?